The Newest Rant: Television Tuesday: Big Brother 19 AKA Well Isn't This a Fine Mess! Television Tuesday: Big Brother 19 AKA Well Isn't This a Fine Mess! I like to talk about, "Big Brother," at least once every season on the blog since I started watching it. It usually is entertaining even if we get an odd season where everyone gets along really well and things are super-mellow (17 was like that). 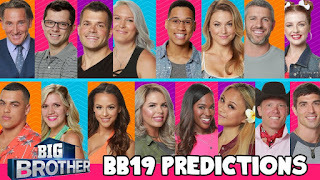 I'm feeling a little nostalgic for that borderline-boring season however because, "Big Brother 19," has got to be one of the most mean-spirited seasons ever (even more than 15) full of bullying via a cast that I struggle to not hate all of (outside of someone named Kevin whom I'll talk about more shortly). For those unaware of what, "Big Brother," is, the show involves a bunch of real people going into a house to be (mostly) cut-off from the rest of the world and forced to live in isolation with each other, getting voted-out at various times until one person gets 500,000 dollars through winning competitions, teaming-up with other players, using their intelligence, and having luck on their side. It usually is good entertainment viewing a cast of characters all have fun, argue a bit, and otherwise just kick-back whilst playing the game of, "Big Brother." The thing is, when a handful of people are stuck together they can either really start to like each other (show-based romances or, "Showmances," happen a lot) or hate--and I do mean hate--one another. Usually most people in the house keep their wits about them and the hotheads get kicked-out early. What happens when the hotheads outnumber everyone else or are able to convince otherwise pleasant people to follow their lead, however? Mayhem, sheer and utter cruel mayhem. My prediction? Bullying, lots of bullying. I'm not alone in hating almost everyone on this season of, "Big Brother." 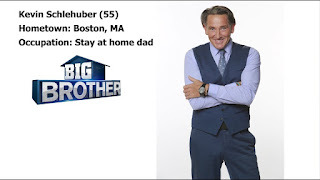 I was at first excited when at the beginning the runner-up of Season 18, Paul, came and joined everyone. It all went downhill from there however. With a house full of blind followers Paul (whom I once liked but now despise) has basically taken over the house and his word goes, with anyone who stands against him relentlessly bullied. Popular website, "Joker's Updates," has an amazingly smart and detailed write-up about serial bullying and how what we have been witnessing in the, "Big Brother," house has occurred. People who have paid to watch the live feeds on CBS that broadcast 24-7 (going down sometimes during competitions that can only be seen on the television broadcast) have witnessed people either behaving grossly and acting like spiteful morons (the aforementioned Paul and instigator of many fights, Josh), or have been essentially taking every opportunity possible to talk about having a myriad of medical problems they want to have money donated to them for (Raven, who won't shut-up about how sick she supposedly is despite some of her conditions being a lot more treatable than she lets on), or people who clearly want to squeeze some fame out of doing the show (Elena has stated on feeds she wants to be famous). It is no secret the production of the show manipulates things and people, and God have things been done in Paul's favor lately. 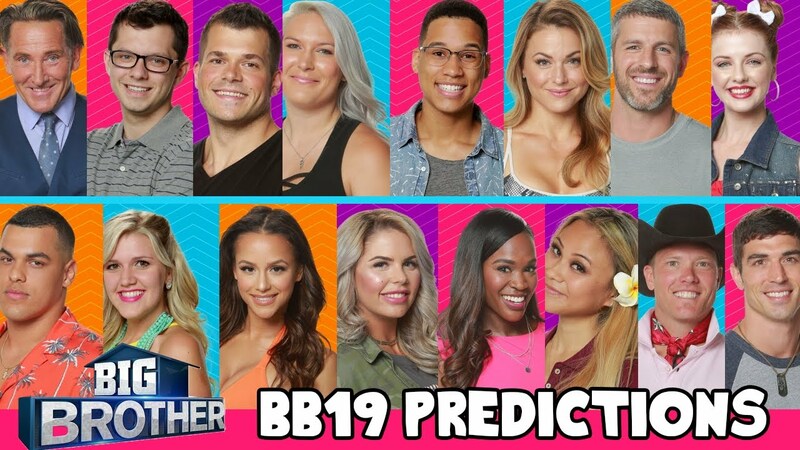 What gets broadcast on television seems to skim over a lot of the worst behavior, with the editing making house guests' behavior look less terrible than they have been, with many a person observing the show, "On the feeds," this year is a lot different than what we see on T.V. People who at first were hard to like at all (Cody and Jessica) now actually are people I'm cheering for after watching how the rest of the house has treated them for the sin of not blindly worshiping Paul. Seriously, thank God for Kevin. Kevin is the token older-person on this season of, "Big Brother." Normally the, "Old guy," gets voted out early, with their lack of knowledge about the show itself hamstringing them some. Kevin has an amazing social game however. He is laid-back, fun, funny, and everyone likes the guy. He has a ton of wisdom, is affable, and whilst the rest of the house has been full of bullying or yelling he has made it clear he just wants, "To have a good time," and would really prefer that everybody just chill-out. I'm not going to quit watching, "Big Brother," this season as some have done despite how wretched it has been in terms of people's behavior to each other. The way the program has turned into, "The Paul Show," just frankly is lame. My recent seeing that there may at least be some movement--even if secret and minimal--against Paul's wishes makes me hopeful that if his reign ends the mass psychosis currently affecting everyone could subside. For now though, this particular season of, "Big Brother," has been a hot mess of bad behavior, terrible people, and a nice guy named Kevin. We are a bit more than about half-way through this season right now (I think), and I honestly hope that everyone can just settle down, have fun, and that I'll quit having to constantly shake my head is dismay at how these human beings are acting. Time will tell.